﻿ What is XENPAK Transceiver ? XENPAK is a multisource agreement (MSA) for a 10 Gigabit Ethernet (10GbE) transceiver package. It’s the oldest 10G fiber optic transceiver. XENPAK transceivers is designed with XAUI interface and Digital Diagnostic Monitor Interface, which comply with the XENPAK MSA protocol and satisfy the application of 802.3ae Ethernet protocol 10GB. 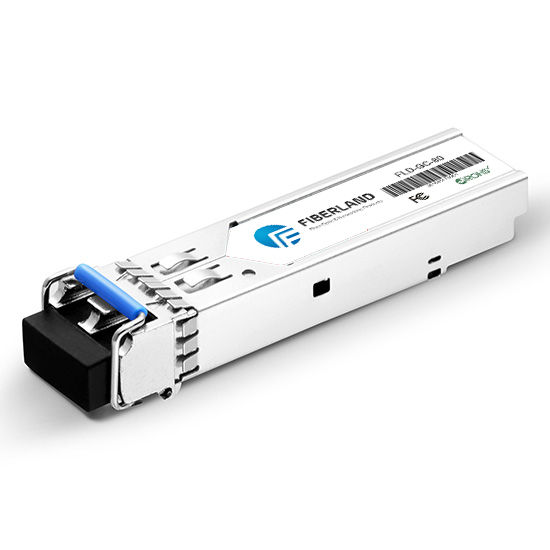 XENPAK transceivers are supplied for physical layer interfaces supporting multi-mode and single mode fiber optic cables and InfiniBand copper cables with connectors like as CX4. Transmission distances vary from 100 metres (330 ft) to 80 kilometres (50 mi) on fiber and up to 15 metres (49 ft) on CX4 cable. Newer XENPAKs using the 10GBase-LX4 standard operated using multiple wavelengths on legacy multi-mode fibres at distances of up to 300 metres (980 ft), eliminating the need to reinstall cable in a building when upgrading certain 1 Gbit/s circuits to 10 Gbit/s. The XENPAK form factor was initially supported by numerous network equipment manufacturers and transceiver optics vendors. However, advances in technology led to more compact form factors for 10 Gigabit Ethernet applications. Soon after the standard was introduced in 2001, two related standards emerged: XPAK and X2. These two standards have the same electrical interface as XENPAK (known as XAUI) but a smaller mechanical properties. XENPAK was replaced by X2 or SFP+ transceiver that providing higher port density and most of the transceiver vendors stop to provide to market. Nowadays,however,there is quite few ethernet switch or routers with Xenpak port worked, a Xenpak to SFP+ converters was produced to meet the needs. Classified by Distance: CX4 for 15m on copper, SR for 300m,LRM for 220m, LR for 10km or 20km, ER for 40km, ZR for 80km.